From that first glance, to the first kiss, and every wonderful moment after, she has captured your heart. 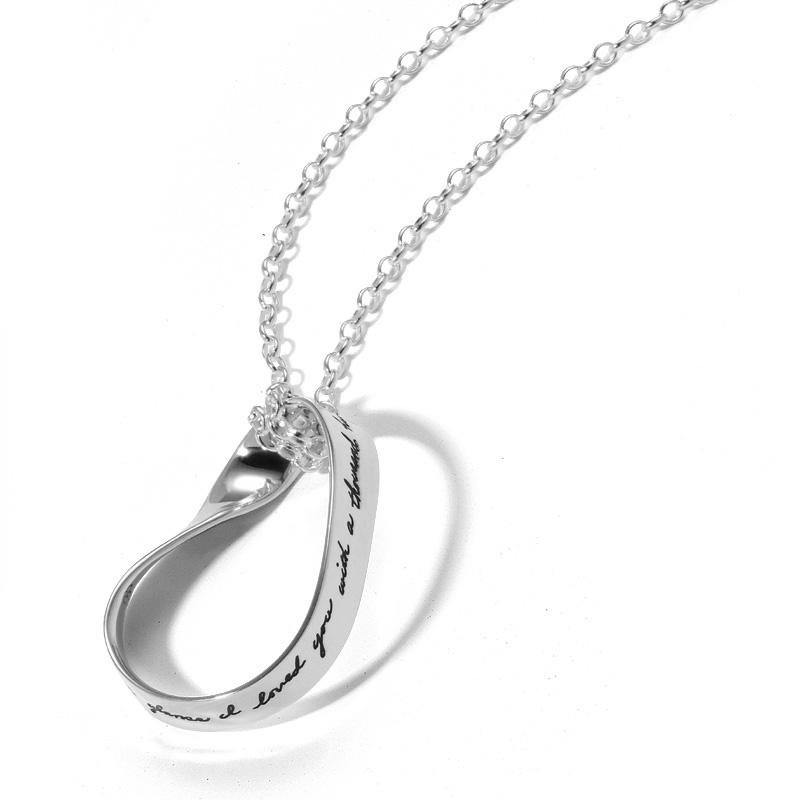 Show her that you will fall in love with her again every day, a thousand times a day with this inspiring necklace. Its unique shape represents a path of falling in love over and over and over again. It makes a wonderful birthday, anniversary or Valentine’s Day gift.